Having AC in your garage is not cheap. There are other more affordable tips you can try if you’re wondering how to keep your garage cool in summer. From getting fans to better garage insulation, read more tips for reducing summer heat from G&S Garage Doors! Summer heat can be the worst. And if you frequently use your garage, it’s important that you (and your car) don’t overheat. Try these tips for reducing heat in your garage! Aerate your garage naturally by opening windows and doors to increase circulation and airflow (no one likes being in a stuffy, hot garage). In cases where your garage is attached to the rest of your home, keep the connecting door closed when ventilating your garage to prevent loss of air conditioning and to prevent fumes from your garage (and vehicles) from getting into the rest of your home. A ceiling fan can be a simple and affordable aid for keeping your garage cool in summer. Check first if your garage has enough clearance (8ft high or more) to install a ceiling fan. Some smaller garages with overhanging doors may not have room for a ceiling fan, so investing in a couple freestanding fans could be an alternative. In either case, be wary of dust if using fans in your garage. Having upgraded insulation for your garage can not only help protect it from extreme heat in the summer, but also has the added benefit of helping protect your garage from extreme colds in the winter. Garages typically are not well insulated to begin with and if your garage walls already have drywall, simple blown-in insulation can be used. Weather stripping, caulking, and painting can help better regulate your garage’s temperature. 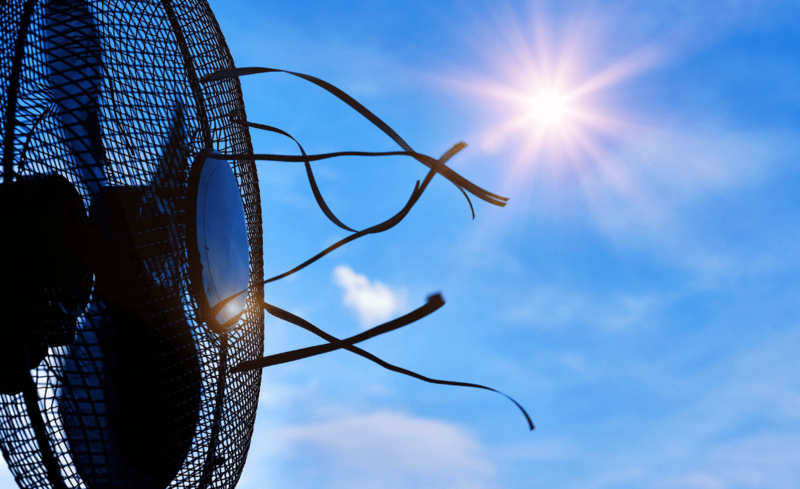 Though this is certainly not be the most cost-effective option, extending your home’s central air conditioning or installing a window or portable AC unit in your garage are sure solutions for how to keep your garage cool in summer. This definitely a more permanent solution to the summer heat and might be worth the expense for some homeowners. On it’s own, a dehumidifier will not keep your garage breezy in cool. However, it can reduce the humidity in the space (and make your garage more bearable). Used in conjunction with and AC unit or any of the other options above, this device can help bring the temperature of your garage to a level more suitable for humans. Obviously a garage that is west facing will have more exposure to the sun in the afternoon heat and can continue to bake the inside of your garage. If you strategically use lighter colors when painting your garage door or getting new shingles for your roof, the light colors can somewhat help reflect the heat and contribute to the effort to keep your garage cooler in summer. 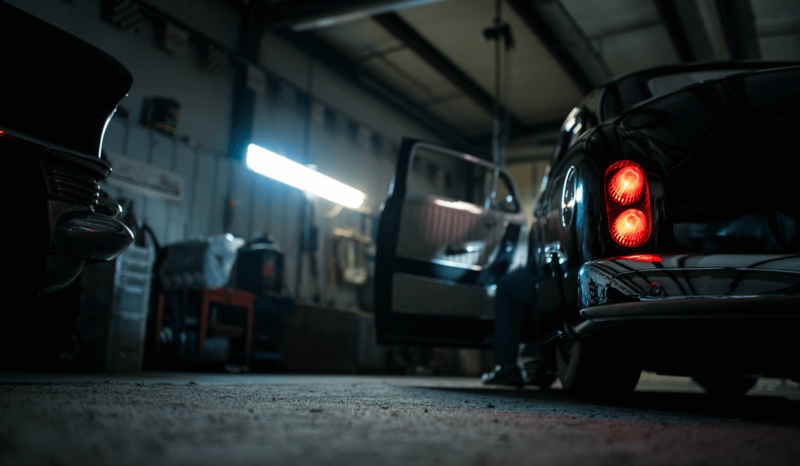 If you’re spending a lot of time in your garage or just can’t stand the head, try one or more of these tips for how to keep your garage cool in summer. Need a garage door repair, replacement, or a new opener? Contact G&S Garage Doors. Our team of experts are ready to help with all of our garage related services.